What can you do about this mysterious ailment? Leaky gut has not received the attention it deserves, in large part because it remains a medical mystery. "Part of the reason is that the gut is such a complex system, and science continues to find new ways that the gut can influence everything from heart health to keeping our brains young," says Dr. Alessio Fasano, director of the Center for Celiac Research and Treatment with Harvard-affiliated Massachusetts General Hospital. "There is much we know about leaky gut in terms of how it affects people's health, but there is still so much that is unknown." So what is leaky gut, and how is it a problem? It begins at the cellular level. The lining of the intestine is made of millions and millions of cells. These cells join together to create a tight barrier that acts like a security system and decides what gets absorbed into the bloodstream and what stays out. However, when the gut becomes unhealthy, the lining can weaken, so "holes" develop in the barrier. The result is that toxins and bacteria can leak into the bloodstream. This can trigger inflammation in the gut and throughout the body and cause a chain reaction of problems, such as bloating, gas, cramps, food sensitivities, fatigue, headaches, and joint pain, to name a few. How do these "holes" form? Blame genes and diet. "Some people may have a weaker barrier because they were born with it, or they follow an unbalanced diet low in fiber and high in sugar and saturated fats, which may be the trigger that weakens the gut lining," says Dr. Fasano. Age also plays a role since as you age, cells get damaged more easily and heal slowly, if at all, so the gut becomes more vulnerable. It is still not clear how large a role leaky gut plays in overall health. "Leaky gut could be the cause of some health problems, or a sign of something larger," says Dr. Fasano. "The science is still up in the air." 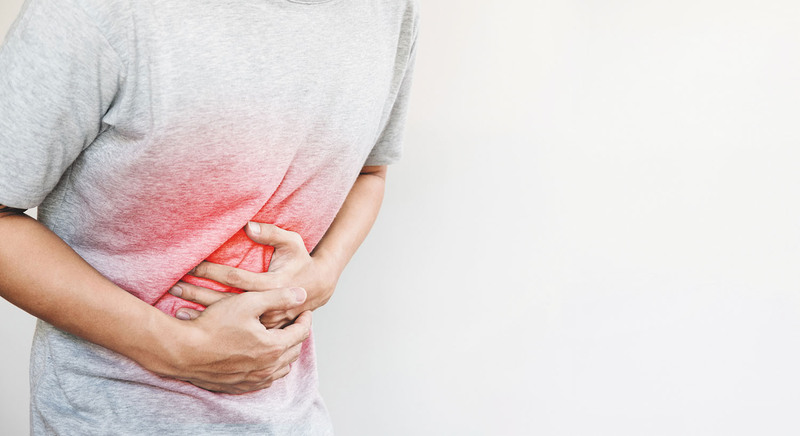 For example, digestive conditions like inflammatory bowel disease, celiac disease, and Crohn's disease share many of the same symptoms as leaky gut, and are all linked with chronic inflammation, but it's not known how, or if, they are connected. Some research suggests leaky gut is linked with a higher risk of autoimmune diseases (such as lupus and multiple sclerosis) or chronic fatigue syndrome. But this is still just an association, and studies have yet to identify any cause and effect. "The challenge is that it's difficult to measure the strength of a person's gut barrier, so you can't know for certain when leaky gut is really present, or what influence it may have elsewhere in the body," says Dr. Fasano. Here's another way to protect against leaky gut: don't bicker with your spouse or partner, suggests a study in the December 2018 Psychoneuroendocrinology. Researchers had 43 healthy married couples discuss and resolve a conflict likely to provoke a strong disagreement, like a money problem. Blood samples taken afterward showed high levels of LPS-binding protein, a biomarker for leaky gut, among couples that argued more compared with couples who were calmer. Is it possible to treat leaky gut, since it's stuck in such a medical gray area? You can, but the approach is similar to diagnosing a broken car, says Dr. Fasano. "You don't know the exact problem until the mechanic lifts the hood, looks around, and tries different things — there is not a simple, direct approach to fixing the problem," he says. "It's the same with leaky gut. We have to try different strategies to see what helps." Your first step is to share your symptoms with your doctor. If leaky gut is a possibility, he or she can try several strategies to help relieve symptoms and reduce inflammation. The most common is to review your diet and eliminate known dietary causes of inflammation, such as excessive consumption of alcohol and processed foods, and to explore whether you have any food sensitivities — for instance, to gluten or dairy. "In theory, reducing inflammation from your diet like this also may rebuild the gut lining and stop further leakage," says Dr. Fasano. Sticking to an exercise program also can strengthen your digestive system. Studies have suggested that taking a 15- to 20-minute walk after a meal can aid in digestion. "Your gastrointestinal system is complex, but caring for it doesn't have to be," says Dr. Fasano.